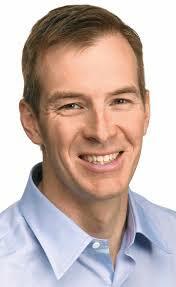 "We've always operated in a way where we let the data drive what to put in front of customers. We don't have tastemakers deciding what our customers should read, listen to and watch." --Bill Carr, Amazon's v-p of digital video and music, in a Wall Street Journal article about how the company chose the pilots for the first five shows of its streaming video service based largely on data about how customers reacted to 14 pilots posted on Amazon. 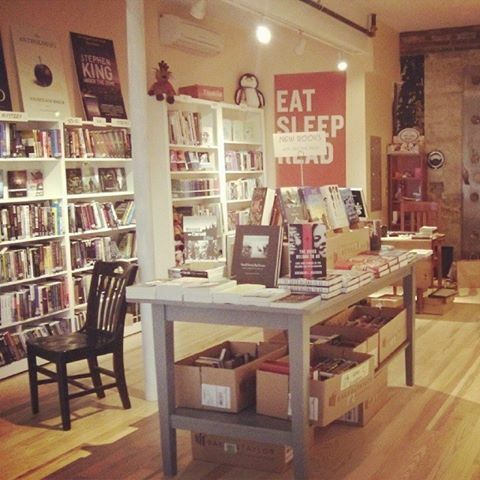 On Saturday, RiverRun Bookstore, which has operated in Portsmouth, N.H., since 2002, opened its second location, in Kittery, Maine, just across the state border. 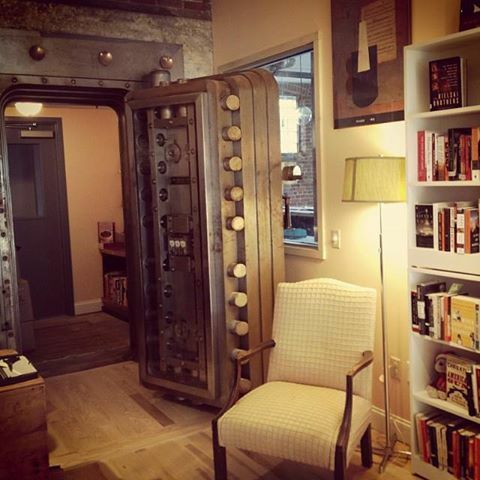 The space, "about the size of your living room," was once a bank and features a walk-in vault and is near one of the entrances to the Portsmouth Naval Shipyard, according to the Portsmouth Patch. A variety of restaurants and shops have opened recently in RiverRun's new Foreside neighborhood. Lil's Café will open next to RiverRun in the next few weeks. The store wrote, "As downtown Kittery grows and becomes an exciting place to visit, we are excited to be a part of that." RiverRun's new store is located at 7 Wallingford Square, Kittery, Maine 03904. 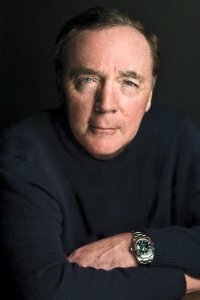 James Patterson Day in Washington, D.C.
Today is officially James Patterson Day in Washington, D.C., where the author is being honored for his donation of books to every middle school in the capital and for his "positive portrayal" of the District of Columbia in the Alex Cross detective series. The proclamation will be made at 10 a.m. at Stuart-Hobson Middle School by Mayor Vincent C. Gray and several city council members. After the proclamation, Patterson will speak to students about the importance of reading in their lives, answer questions and sign copies of his donated books. At 3:30 p.m., Patterson will speak at the Library of Congress at the Celebration of the 2013 Literacy Awards and be announced as the Champion of the Young Readers Center at the Library. Patterson is a major supporter of books, reading and education and in September announced a plan to give $1 million next year to help independent bookstores. U.K. audiobook publisher AudioGO, which recently suspended business operations, went into administration October 31 and has let go 57 employees, the Bookseller reported, adding: "Other employees (AudioGO originally employed close to 100) remain in place to assist the administrators with the next steps in the process." The moves were triggered by the appointment of BDO as administrators. "Significant accounting issues and the consequent working capital requirements at AudioGO led to it being insolvent," said Mark Shaw, BDO business restructuring partner. "Unfortunately, there was no other option at this stage but to place the remaining U.K. business into administration, as no suitable buyer could be found. The administrators are taking all necessary steps to mitigate losses to customers and to maximize recoveries for the benefit of creditors." Gérard de Villiers, the French novelist "whose raffish, long-running spy-thriller series, S.A.S., sold more than 100 million copies and became a kind of drop box for real-world secrets from intelligence agencies around the world," died last Thursday, the New York Times reported. He was 83. William Harrison, the author of nine novels as well as short fiction who adapted his own work into the films Rollerball (1975) and Mountains of the Moon (1990), died October 22, according to the New York Times. He was 79. 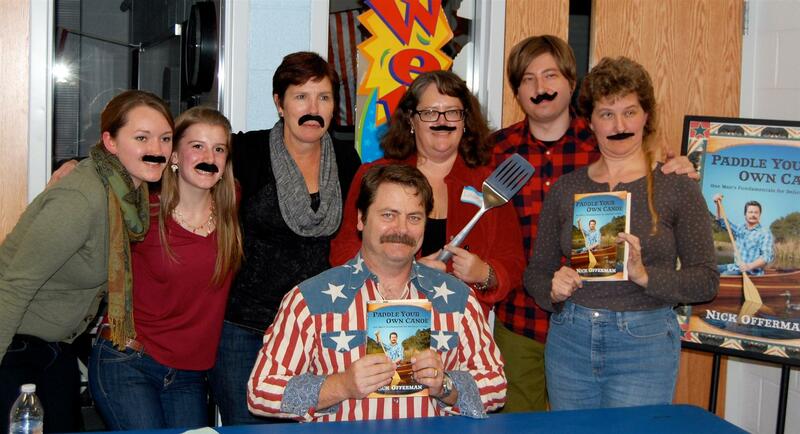 Anderson's Bookshop, Naperville and Downers Grove, Ill., hosted an event for Nick Offerman, star of Parks and Recreation, a native of Minooka and author of Paddle Your Own Canoe: One Man's Fundamentals for Delicious Living (Dutton). Staffers had so much fun that they sprouted mustaches: (from l.) Maura Sokol, Lauren Baltas, owner Becky Anderson, Offerman's sister Laurie Offerman, Larry Law and Kris Nugent, with, in front, star canoeist Nick Offerman. Happy 50th Birthday, Odyssey Bookshop! 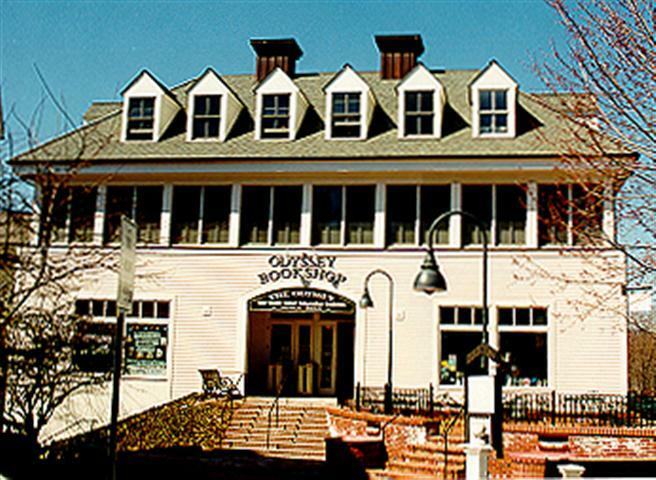 Congratulations to the Odyssey Bookshop, South Hadley, Mass., which is celebrating its 50th anniversary this weekend, Friday-Sunday, November 8-10, with 20% discounts on in-store purchases, live music, giveaways every hour on Saturday and Sunday, face painting, a scavenger hunt, a cookbook tasting and Saturday treats sponsored by Atkins Farms. In addition, there will be a live broadcast from the store on WRSI's The River, a children's Fancy Nancy dress-up tea party and story time, and to cap off the weekend, a tea at 4 p.m. on Sunday in honor of founder Romeo Grenier. "The tradition of Romeo's original high tea parties, cakes, scones and tea will be served," the store wrote. "Come share your memories of the Odyssey--from days long past or your more recent experiences." After buying Glesmann's Pharmacy in 1957, Romeo Grenier stocked an ever-increasing number of books. In 1963, Mount Holyoke College asked him to open a full-service bookstore, which led to the founding of the Odyssey. The store suffered two disastrous fires in the 1980s, but recovered with the help of the college, the community and staff. Romeo's daughter Joan Grenier now owns the store, one of the biggest and busiest in central Massachusetts. As noted here, October 22 was pub date for The Goldfinch by Donna Tartt (Little, Brown) as well as the opening of an exhibition of Dutch masters at the Frick Collection in New York City. 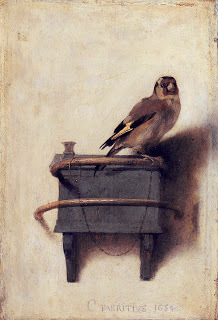 The Frick show includes The Goldfinch, a 1654 painting by Carel Fabritius that normally hangs in the Hague's Royal Picture Gallery Mauritshuis--and is a key element of the novel. The Frick said the timing was coincidental. Happily Tartt seized the sweet publicity opportunity. Last week Parson Weems's Chris Kerr saw the Frick show and discovered copies of the book in the Frick's shop, writing, "Apparently Tartt stopped by Thursday and autographed stock." A benefit brunch for the Comic Book Legal Defense Fund's Kids' Right to Read program will be held this Sunday, November 10, at the Society of Illustrators in New York City. The brunch will feature Patrick McDonnell (Mutts), Paul Pope (Battling Boy), Liza Donnelly (the New Yorker), Michael Maslin (the New Yorker) and Larry Marder (the New Yorker). Host Jeff Smith will unveil his new series, Tuki Save the Humans, and there will be a silent auction of original art by cartoonists and a private viewing of the Society's current exhibits. Doors will open at 11 a.m. Smith's performance begins at 12 p.m., followed by brunch. General admission tickets are available for a $100 donation to CBLDF and includes brunch, admission to the exhibits and a souvenir print signed by Jeff Smith; $40 of this is tax-deductible. Dine with Jeff Smith VIP admission tickets are available for a $250 donation to CBLDF. This includes a meal with Jeff Smith, admission to the exhibits and a souvenir print signed by Smith. $190 of this contribution is tax-deductible. For more information, click here. 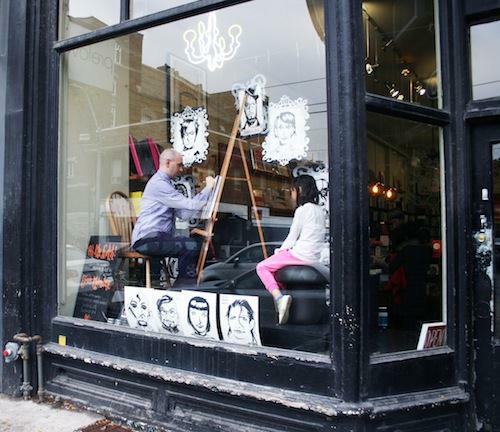 "Window-artist extraordinaire" Kalpna Patel recently designed a window display for Toronto's Type Books that featured cartoonist and YA novelist Evan Munday (Dial M for Morna) drawing "Goth Portraits" of customers and staff, Quillblog reported. An Astronaut's Guide to Life on Earth: What Going to Space Taught Me About Ingenuity, Determination, and Being Prepared for Anything by Chris Hadfield (Little, Brown). A hilarious journey. A new trailer has been released for The Wolf of Wall Street, based on Jordan Belfort's book. Indiewire noted that the trailer offers "a whole new look at what Martin Scorsese and Leonardo DiCaprio are cooking up--and it looks like Boiler Room and Wall Street on cocaine. The movie opens Christmas Day. Two new trailers are out for another Christmas Day release, Jason Reitman's Labor Day, adapted from Joyce Maynard's novel, and feature Josh Brolin and Kate Winslet, Indiewire reported. This morning on CBS This Morning: Amy Tan, author of The Valley of Amazement (Ecco, $29.99, 9780062107312). This morning on the Today Show: Lilliana Vazquez, author of The Cheap Chica's Guide to Style: Secrets to Shopping Cheap and Looking Chic (Gotham, $25, 9781592408085). She will also appear on Access Hollywood and the Wendy Williams Show. This morning on MSNBC's Morning Joe: Mark Halperin, co-author of Double Down: Game Change 2012 (Penguin Press, $29.95, 9781594204401). He will also appear today on the View, Andrea Mitchell Reports, Hardball with Chris Matthews, the Today Show, and the O'Reilly Factor and tomorrow on the Charlie Rose Show, Morning Joe, CNN's AC360 Later, CNN's the Lead with Jake Tapper and MSNBC's Last Word with Lawrence O'Donnell. Today on Hannity: Oliver North and Bob Hamer, authors of American Heroes: On the Homefront (Threshold Editions, $30, 9781476714325). They will also appear today on Fox Radio's Sean Hannity Show and tomorrow morning on Fox & Friends. Also on Hannity: Brian Kilmeade, co-author of George Washington's Secret Six: The Spy Ring That Saved the American Revolution (Sentinel, $27.95, 9781595231031). Kilmeade will also appear today on Fox & Friends and tomorrow on Glenn Beck Radio, Huckabee, Kilmeade and Friends and the O'Reilly Factor. Today on NPR's Diane Rehm Show: Fannie Flagg, author of The All-Girl Filling Station's Last Reunion (Random House, $27, 9781400065943). Today on Fresh Air: Hooman Majd, author of The Ministry of Guidance Invites You to Not Stay: An American Family in Iran (Doubleday, $26.95, 9780385535328). Today on Dr. Oz: Dr. Vijaya Nair, author of Prevent Cancer, Strokes, Heart Attacks & Other Deadly Killers (Square One, $12.95, 9781884820922). Today on NPR's Marketplace: Nick Bilton, author of Hatching Twitter: A True Story of Money, Power, Friendship, and Betrayal (Portfolio, $28.95, 9781591846017). Today on Extra: Hill Harper, author of Letters to an Incarcerated Brother: Encouragement, Hope, and Healing for Inmates and Their Loved Ones (Gotham, $27.50, 9781592407248). Tomorrow he will be on the Today Show and MSNBC's PoliticsNation with Al Sharpton. Today on NPR's the Takeaway: Joshua Greene, author of Moral Tribes: Emotion, Reason, and the Gap Between Us and Them (Penguin Press, $29.95, 9781594202605). Today on PBS's Tavis Smiley: Anne Lamott, author of Stitches: A Handbook on Meaning, Hope and Repair (Riverhead, $17.95, 9781594632587). Tonight on CNN's Piers Morgan Live: Oliver Stone and Peter Kuznick, authors of The Untold History of the United States (Gallery, $19.99, 9781451613520). Tonight on Jimmy Kimmel Live: Artie Lange, co-author of Crash and Burn (Touchstone, $25.99, 9781476765112). He also appears tomorrow night on Conan. Tonight on the Colbert Report: David Folkenflik, author of Murdoch's World: The Last of the Old Media Empires (PublicAffairs, $27.99, 9781610390897). Tomorrow morning on Fox & Friends: Chaser, subject of Chaser: Unlocking the Genius of the Dog Who Knows a Thousand Words (Houghton Mifflin Harcourt, $26, 9780544102576). Tomorrow on the Today Show: Kay Robertson, author of Miss Kay's Duck Commander Kitchen: Faith, Family, and Food--Bringing Our Home to Your Table (Howard, $22.99, 9781476745121). She will also appear on Extra. Gregory Zuckerman, author of The Frackers: The Outrageous Inside Story of the New Billionaire Wildcatters (Portfolio, $29.95, 9781591846451). Bob Drury and Tom Clavin, authors of The Heart of Everything That Is: The Untold Story of Red Cloud, An American Legend (Simon & Schuster, $30, 9781451654660). Doris Kearns Goodwin, author of The Bully Pulpit: Theodore Roosevelt, William Howard Taft, and the Golden Age of Journalism (Simon & Schuster, $40, 9781416547860). She will also appear on the Diane Rehm Show. Tomorrow on Sirius XM's Bob Edwards Show: Terry Teachout, author of Duke: A Life of Duke Ellington (Gotham, $30, 9781592407491). Tomorrow on Dr. Oz: Dr. Joel Fuhrman, author of Eat to Live: The Amazing Nutrient-Rich Program for Fast and Sustained Weight Loss (Little, Brown, $15.99, 9780316120913). Tomorrow night on the Colbert Report: Julius Erving, co-author of Dr. J.: The Autobiography (Harper, $27.99, 9780062187925). Tomorrow night on the Late Show with David Letterman: Bruce McCall, co-author of This Land Was Made for You and Me (But Mostly Me): Billionaires in the Wild (Blue Rider, $25.95, 9780399163685). "I always call my own bluff," said author Betty Bynum. "I tell my kids that if you don't like something, do something about it. Don't complain--do something about it in your own way." Bynum, who works primarily as a screenwriter and actress, called her own bluff when she wrote I'm a Pretty Little Black Girl, a children's book about a young black girl named Mia. After waking up with her hair tangled and disheveled, Mia, instead of finding it unappealing, thinks, "I'm a pretty little black girl!" From there, she goes to school with her friends, who are other little black girls of varying skin tones and hair types. "There have been books out there with little black girls in them," Bynum said. "But they don't address the issues of skin tone and hair in a joyful and celebratory manner like this book does. There's Pinkalicious and Strawberry Freckleface and all that great stuff, but no book with a little black girl starring in her own story. I said, you know, I'm going to write that." Mia's name, in fact, comes from the abbreviation M.I.A., or missing in action. "She wasn't on bookshelves," Bynum recounted, laughing. "I called her Mia because she had to show up." Bynum never expected to write a children's book; she was 600 pages into a novel before diving into I'm a Pretty Little Black Girl. Before securing a publisher, Bynum drew interest from Target, which wanted Bynum to write two more books similar to I'm a Pretty Little Black Girl. Bynum then found a publisher, but the publisher wanted to do only one book. The real "dealbreaker," Bynum said, came when Bynum and the publisher had to agree on an illustrator. "They didn't want me to communicate with him at all," she said. "They wanted me to go through them. But I had to talk to him. Otherwise he's going to have issues with skin tone and hair textures. It's complicated, and it has to be very specific. If that wasn't done right, people would know it's not right. The book would fail." Bynum decided to publish the books herself, through Dreamtitle Publishing, and after some initial difficulties finding an illustrator she could work with, met Claire Armstrong-Parod via the recommendation of an artist friend. "Some artists can be a bit temperamental," said Bynum diplomatically. "But Claire is just so wonderful and so incredibly talented and patient." The three-book deal with Target includes two more titles, I'm a Lovely Little Latina Girl and Hooray I'm a Girl in the USA, due out in spring 2014 and fall 2014, respectively. Beyond that, Bynum has planned three more books for each girl in the series. She also wants to grow the brand with a line of dolls and apparel, which she hopes to launch in time for Christmas. A sculpting of the dolls has been made already; as Bynum put it, all that's needed now is to "add some clothes." 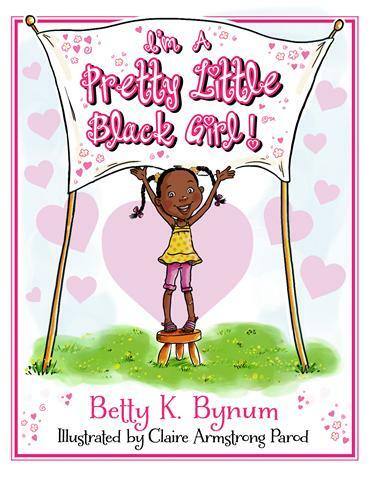 I'm a Pretty Little Black Girl reached stores on October 7, and Bynum has been thrilled with the response. She's seen word of mouth spread through social media, been featured in Essence magazine and PW, and drawn interest to appear on the Queen Latifah Show. Bynum has also made appearances in the Los Angeles area, including a visit and talk at the California African American Museum, and is in the process of connecting with local schools and libraries. The plan is to establish a base in Southern California before gradually bringing the book across country. A Permanent Member of the Family is the first short story collection from Russell Banks since 2000's The Angel on the Roof. Each of these stories portrays people longing to connect with something, someone, anything--or, as in one story, "Former Marine," to disconnect. The eponymous story refers to a dog, a part poodle mutt named Sarge, who is not part of the shared custody arrangement worked out between the principals in a divorce. Their three girls travel amicably the few blocks between houses, spending three and a half days a week in each place. Sarge, however, is supposed to stay with Mom, but travels to Dad's house at will. One day, Dad runs over the dog. Everyone believes Sarge was already dead or she would have come out from under the car, but the event still changes the family's relationships irrevocably; eventually, the girls see their father only once a month and then for just a week before summer camp begins. In "Snowbirds," Isabel prevails upon her recalcitrant husband to spend the winter in a rented condo in Miami Beach. Barely a month into that first winter, George drops dead on the tennis court. Isabel is a remarkably merry widow; her first act is to buy a new convertible. Her best friend, Jane, flies to be at her side and, watching Isabel's new freedom, begins to question the strength of her own attachment to her husband. She stays longer than intended and Isabel lets her know that whatever she decides to do, Isabel will support that decision--not at all the outcome either expected. "Big Dog" starts with the great news that Erik, a writer, has won a MacArthur "genius" grant. The grantors ask him not to mention it to anyone until they have released the news to the press. Erik can't keep it to himself and when he and Ellen join friends for dinner, he tells them. The fallout from the announcement has various consequences--and though some are predictable, Ellen's reaction is not. Shelf Talker: Banks's 12 stories, including six never before published, illustrate turning points and critical moments in the lives of ordinary people. California Bookstore Day, which takes place May 3, 2014, features books and book-related items created by publishers and others to be sold by participating indie bookstores beginning on that day. The items, which are exclusives for the event, are not being donated to the stores, as we mistakenly stated on Friday.